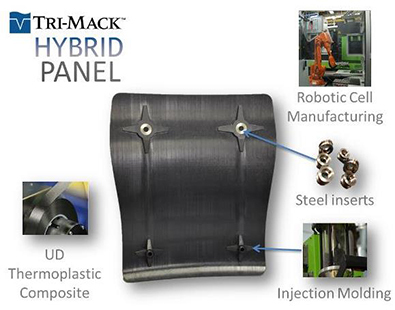 Tri-Mack’s latest hybrid molding processes combine thermoplastic composites with injection molding to capture the key advantages of both. Based on a recent comparative study on bond strength, our hybrid molding bond is twice as strong as industry standard adhesive! Contact us to learn how we can develop custom hybrid solutions for your application. Watch the hybrid panel process. Watch the hybrid bracket process. Tom Kneath discusses the benefits. How strong is the bond? Watch the video below! 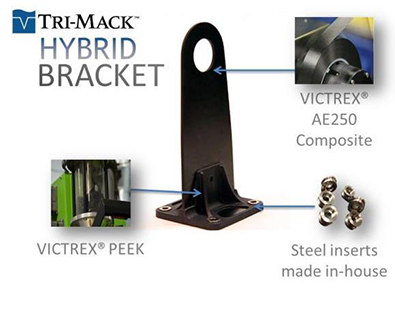 Tri-Mack Hybrid Molding: How Strong is the Bond? from Tri-Mack Plastics on Vimeo.